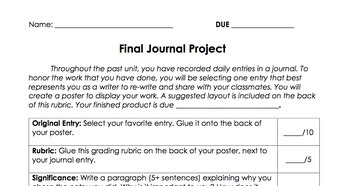 After writing a collection of journal entries, students select one entry to "publish" by re-writing it as a new genre and putting it on display to share with classmates. My students always love this project because it allows them choice and creativity, and it's a great way for them to represent themselves. We share with a gallery walk.